New to Ribble Motor Services (No 2691) in 1949 passed to Delaine Bourne in 1961 as their (No 54) where it served 5 years when it then passed to R Taylor & Sons Cudworth in February 1966 (No 16) part of the Ideal Service When Taylors sold out to Yorkshire Traction in 1967 this vehicle passed to H Wray & Sons of Hoyle Mill Barnsley and remained in service until 1969. Photographed outside Taylor’s garage at Cudworth. Twenty years service from one of these vehicles who’s Brush bodies were said to be of questionable durability was a good innings. 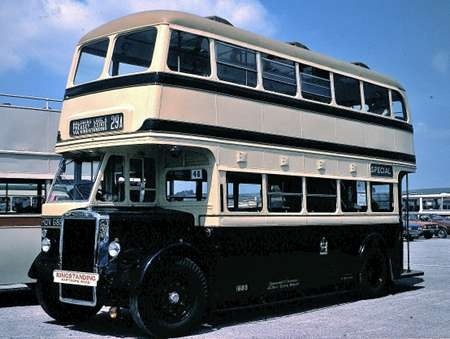 Delaine’s beautiful livery must have inspired Taylors to replicate the V arrangement on the upper deck front panel and the application of the IDEAL name on the (illuminated?) glass panel is a nice touch. The large fleetname on the side is just visible and the whole thing looks very smart indeed, a worthy transformation from blue to red! I can’t help thinking that H Wray & Sons might not have gone to the same trouble! Judging by the rubber window mounts I would guess this vehicle’s bodywork was rebuilt/refurbished somewhere along the way. In 1949 except for ECW this type of window mounting was rare. I seem to recall hearing or reading that at this time ECW had this type of window mounting patented. I am sure someone will comment. I should have added that Potteries was another company that took SOS chassis. Surprisingly, Stratford Blue, a BMMO subsidiary from 1935, took none. 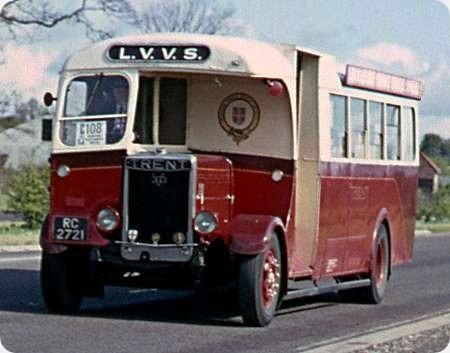 Although Stratford Blue ran a very eclectic range of vehicles makes pre-war, it was a very loyal Leyland user post-war. I used to enjoy visiting there (and Birds)from time to time in the 1950’s and 60’s. That’s a strange one Chris, having seen UP 551 in the flesh as it were, and in all the photos I’ve seen, it has Northern on the radiator, and yet, as can be clearly seen, in this case it has midland. It certainly is a conundrum. The radiator shape and bonnet profiles of the two vehicles are quite different and it seems unlikely that they would be swapped over at any time. I have an AEC 171 engine with engine number A171RB 3952. It is Direct Injection which is puzzling me – your article describes converting 171 Indirect to 173 direct injections – was this an engine replacement or were the 171’s modified to 173 spec? With regard to UP 551 carrying Midland Red on its radiator. The radiators were cast with Midland Red in the header tank when constructed. The Northern plate is a separate casting fitted over the Midland Red logo. This arrangement was replicated during the restoration of UP 551. The image was taken during a visit of a group from the Midlands hence the Northern plate had been temporarily removed. HOV 685 is a Leyland Titan PD2/1 with Brush H54R body, to Birmingham’s then standard design. She dates from 1948 and we see her in the Weymouth rally on 1 July 1979. She began her service at Yardley Wood depot and, Malcolm Keeley reports in his book in the Glory Days series, most of the batch so allocated from new remained there throughout their working lives. The others were at Perry Bar. The saga of the Brush bodies is not so happy, however. There had been some earlier disagreements between the builder and the operator, the former managing to convince itself that the product was entirely the opposite of what the operator wanted. This batch appears to have been the last of the Brush bodies for Birmingham. 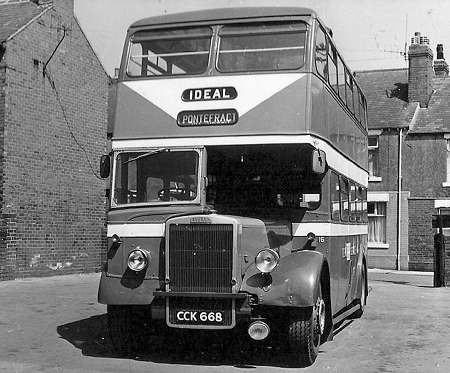 Brush had a similar "conversations" with Manchester regarding fifty bodies it was building to the Manchester post war Standard design on Daimler chassis at the same time. Manchester was unhappy with Brush’s interpretation and had to keep a watching brief on the progress to ensure what was produced was identical to the drawings. As it turned out the bodies were well finished and lasted well. Can anybody please explain what the dispute between BCT and Brush was about. Pat, according to his ‘Glory Days’ book on Birmingham City Transport, Malcolm Keeley reports that the rot seems to have set in – in more ways than one – when the timber frame bodies on the surviving 1929-31 AEC Regents had to have new Austerity bodies by Brush in 1943/4. There was supposed to be a decrease in price as a result of salvaging parts from the old bodies, but they had been from four different builders and the cost was actually increased. The next chapter takes place in respect of the Crossleys ordered in 1945. They should have had Brush bodies, but delays in delivering chassis caused Brush to ask to be ‘released’. Not an unreasonable request, perhaps, but Keeley says, "After the wartime disputes over the Regent and CWA bodies, small wonder BCT ceased to employ Brush." Pete, that’s all true but the Leylands are 1948 deliveries whereas your comment finishes in 1945. If I were a betting man I’d put good money on Bush having the same approach as it took with Manchester. Phil B, I’ve spent most of the day looking in the Keeley book for his comments about this dispute, so far without success. I’m sure I didn’t dream it. I’ll post further on this in due course! Pete, you are quite right in your summary of Malcolm Keeley’s account of the Brush utility bodies for Birmingham, and the consequent decision by BCT not to use Brush any more. The account of the war-time re-bodying of the pre-war AEC Regents (p.26) describes the problems Brush had salvaging material from the old bodies by four makers, and trying to incorporate these into the fifty new bodies. Delivery was delayed because of the interruption to the production system, and additional detail design work was also needed. A major dispute broke out over the cost. (One is illustrated on p.30, and a trainer conversion on p.41). As you say in your original posting, Brush asked to be released from bodying the 10 Crossleys ordered in 1945, because of pressure of other work in their drawing office. They were already committed to 100 bodies on Leyland PD2s. Keeley, on p.48, indicates that BCT ceased to employ Brush, as you quote above. Thank you, Michael . . . Thanks Pete and Michael. Perhaps the clue to the similarities to the dispute with Manchester lies in the drawing office.